Trade, particularly exports, is critical to the vitality of American agriculture. On average, foreign markets absorb about one-fifth of U.S. agricultural production, thus contributing significantly to the health of the farm economy. The positive economic effects of trade in farm products are felt well beyond the farm gate. Farm product exports make up about 10% of total U.S. exports and contribute positively to the U.S. balance of trade. The economic benefits of agricultural exports also extend across rural communities, while overseas farm sales help to buoy a wide array of industries linked to agriculture, including transportation, processing, and farm input suppliers. Moreover, most of the future growth in food demand is expected to occur in developing countries. 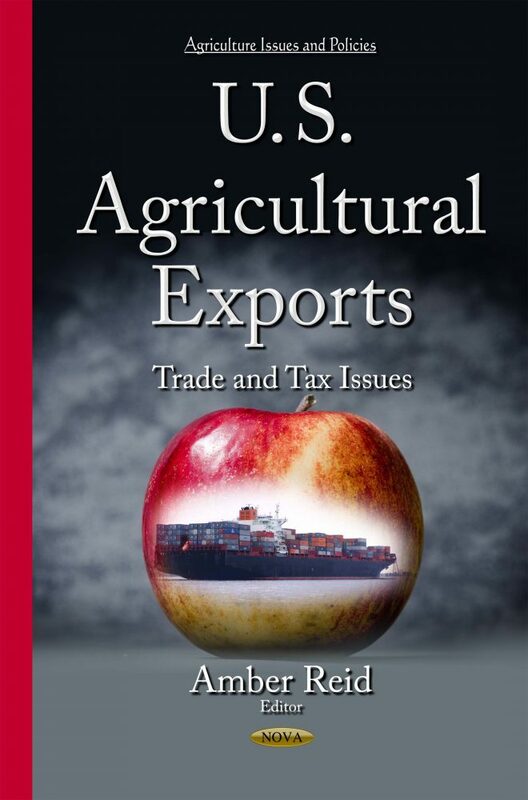 This book discusses major agricultural trade issues in the 114th Congress, as well as provides the reader with a background and issues of agricultural exports and the 2014 Farm Bill programs. It concludes with alternative policies to agricultural export taxes that are less market distorting.